This book outlines and discusses the very wide range of cinema which is to be found in Singapore. Although Singapore cinema is a relatively small industry, and relatively new, it has nevertheless made an impact, and continues to develop in interesting ways. 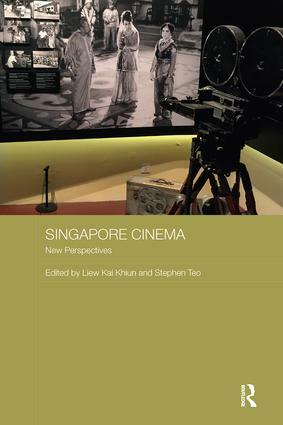 The book shows that although Singapore cinema is often seen as part of diasporic Chinese cinema, it is in fact much more than this, with strong connections to Malay cinema and the cinemas of other Southeast Asian nations. Moreover, the themes and subjects covered by Singapore cinema are very wide, ranging from conformity to the regime and Singapore’s national outlook, with undesirable subjects overlooked or erased, to the sympathetic depiction of minorities and an outlook which is at odds with the official outlook. The book will be useful to readers coming new to the subject and wanting a concise overview, while at the same time the book puts forward many new research findings and much new thinking. Stephen Teo is an Associate Professor at the Nanyang Technological University, Singapore. Liew Kai Khiun is an Assistant Professor at the Nanyang Technological University, Singapore.